Do you have a kiddo who won’t stop asking for a dog even though she becomes a teary, sniffly, sneezy mess when she’s around a pup? Before you go bounding out to get a hypoallergenic dog, keep in mind that just because a canine is considered a sneeze-free pet doesn’t mean it’s a good fit for a child. To help you in your quest to make your family’s pet dreams come true, here are the top 10 dog breeds for kids with allergies. 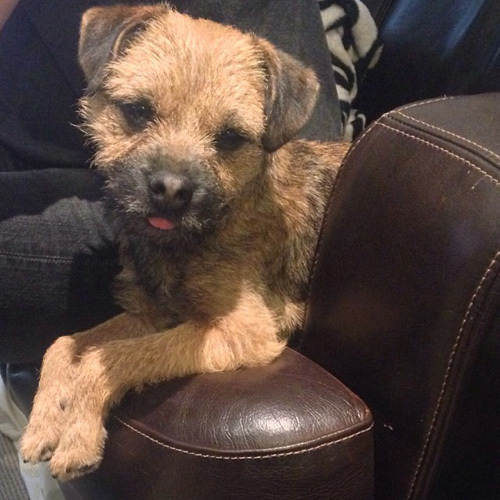 Not as well-known as other Terrier breeds, the Border Terrier is a child-loving ball of energy that is a sturdy dog despite its small size. This athletic canine will wear your kids out before it loses its zeal for play. 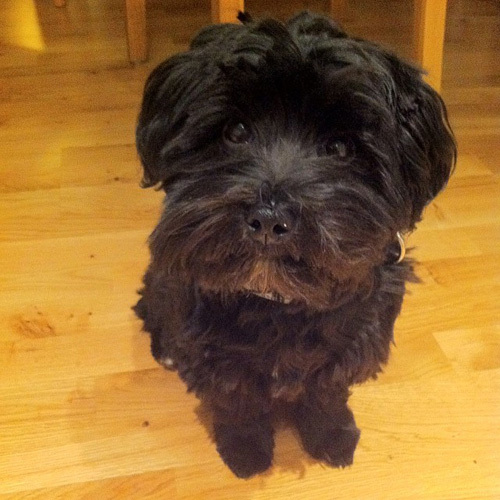 This affectionate fluffball loves being a kid-magnet and craves human company. 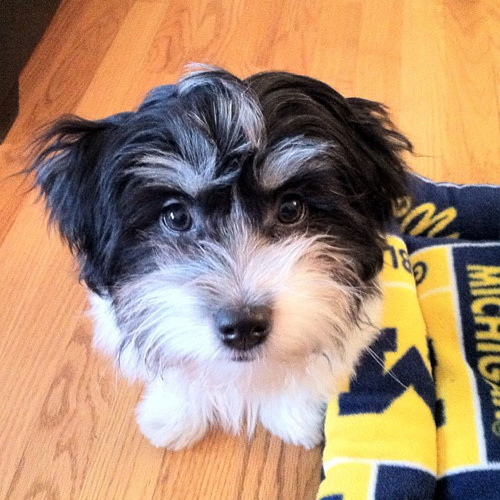 The Havanese comes in many colors and its nearly shed-free coat can be silky or fluffy. 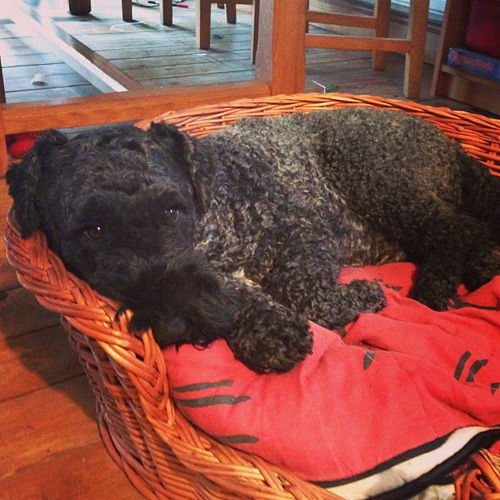 If you’re into big family-adoring dogs that live for swimming, running and long hikes, this curly-coated canine is for you. 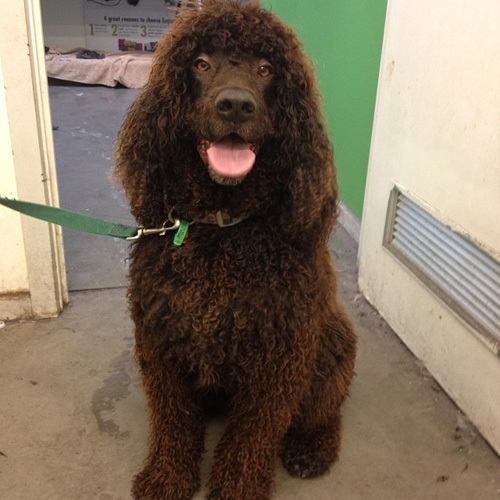 The Irish Water Spaniel thrives on being with its human pack, making it an excellent house dog as long as you have the time to give it ample exercise. 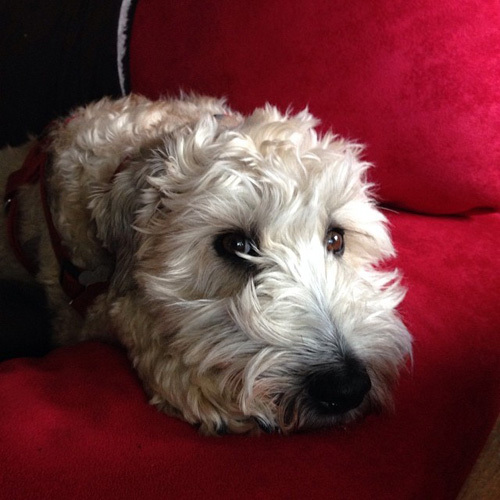 The Bedlington Terrier is gentle and loving with children but this lamb-like canine has the heart of a hunter when it comes to small critters. Keep your pup well-exercised and on a leash if there are vermin in the area. A pint-sized canine that loves children, the Coton is considered hypoallergenic but does require frequent brushing to keep its cotton-like fur from getting matted. Eager to please, this pup is easy to train and deeply bonds with its human pack. Best suited for a family with a large yard for patrolling and exercising, the Kerry Blue Spaniel is an athletic canine that will appreciate any active job you can give it. However, once your pup is well-exercised, it will want nothing more than to curl up in the house with you. 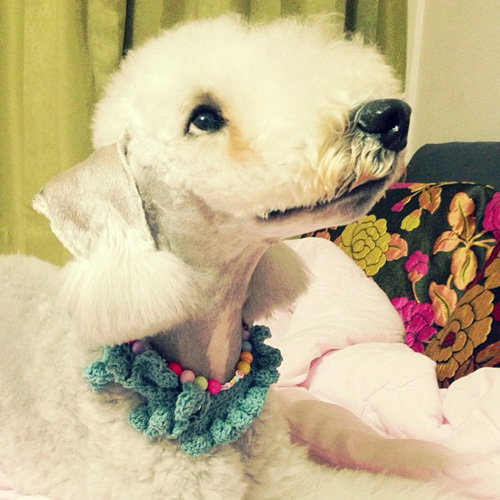 The oft-prissy and uber-intelligent Poodle adores its family and playing with the kiddos. Available in three sizes from toy to standard and a variety of colors, you’re sure to find one of these curly-coated hypoallergenic pups that’s right for you. The Wheatie is a generally sweet-natured dog that’s devoted to its family but can be quite strong-willed if not lovingly yet firmly trained. This energetic canine needs daily exercise but won’t take nicely to being relegated to the backyard. It wants a warm spot on your couch. With an eager affinity for water, the Portie is the perfect canine for families who love the outdoors and playing in the surf or swimming. To keep this pet happy, be sure you have the time and energy to keep it exercised. 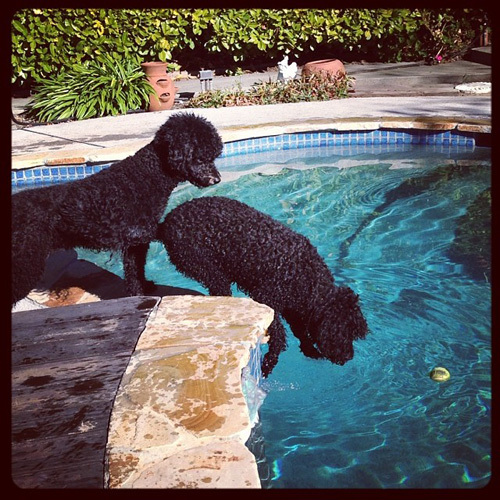 You may even consider building a pool in your backyard and getting two pups! 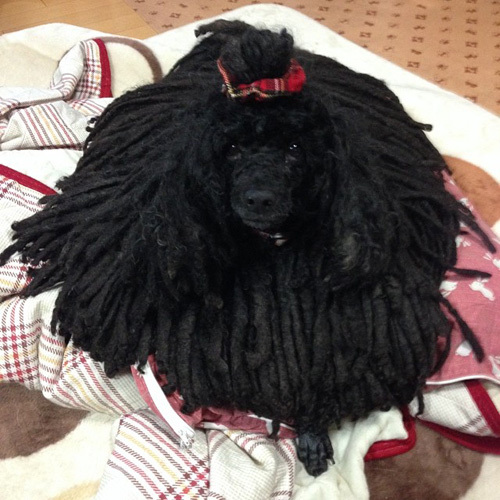 The “Bob Marley” of dogs, the Puli is a dreadlocked canine that gets along well with children, but it’s recommended that you bring a puppy home to be raised with your children instead of bringing in an adult dog who may not be accustomed to kiddos. 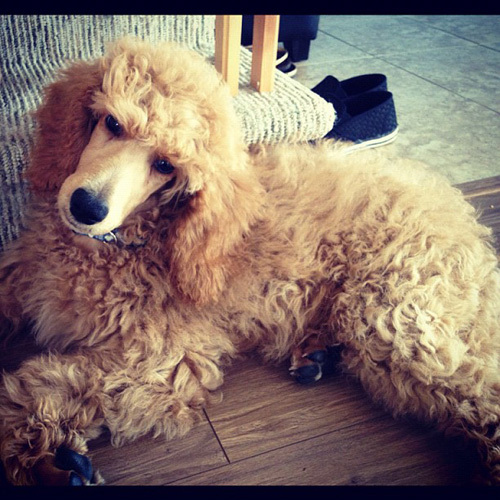 Though some dog breeds are considered hypoallergenic, there is no completely allergy-free pet. Have your children spend time with a potential pup before you bring it home. This will determine if it triggers an allergic reaction as well as see if it’s a good fit for your family.